The 2018 FIBA U18 Asia Championship is set to tip off in Thailand this coming Sunday, August 5, where sixteen teams will vie for four berths to the 2019 FIBA U19 World Cup. This is the first ever FIBA U18 Asia tourney with both Australia and New Zealand joining, and their entry raises the level of competition quite significantly. 2016 champion Iran returns to the fray ready to defend its title, while 11-time champion China hopes to regain its place among the elite after finishing outside of the top 4 for the first time since 2008. Both the Boomers and Tall Blacks, of course, will contend for the World Cup berths, while traditional Asian powerhouses Korea, Japan, Chinese Taipei, and the Philippines are also expected to impress. Let's begin our coverage with a preview of Group A. Previous U18 Asia: Defending champions; Qualified for 2017 FIBA U19 World Cup (15th place). Size: Average height is 6'5; Tallest players are Reza Moradi (6'9), Safa Nekooei (6'9), & Matin Aghajanpour (6'8). Experience: Three players with experience in the 2017/2018 FIBA U16 Asian Championship, one player with experience in the 2016 FIBA U18 Asia Championship. The defending champions have a tall and deep team here in Nonthaburi, including one holdover from the 2016 championship team - Amirhossein Rezaeifar, who should be this squad's best frontcourt player in this tournament. The guard duo of Behshad Arabzadeh and Ehsan Dalirzahan should also heavily contribute, though they will be severely tested by the speedy Japanese in group play. Helping our Rezaeifar in the paint will be a bevy of tall trees, most notably 6'9 slotmen Safa Nekkoei and Reza Moradi along with 6'8 U16 superstar Matin Aghajanpour. Still, despite all their size and talent, U18 Team Melli is not assured of topping Group A as the young Japanese should pose a very formidable challenge for an outright Quarter-Finals spot. Previous U18 Asia: 2nd place; Qualified for 2017 FIBA U19 World Cup (10th place). Size: Average height is 6'1; Tallest players are Shugo Asai (6'5), Hiroki Matsuzaki, Seishin Yokochi, and Ryuya Kaneda (all 6'4). Experience: Six players with experience in the 2017/2018 FIBA U16 Asian Championship, and one with experience in previous Asia U16, Asia U18, and World U19 tournaments. Japan were the surprise of the U18 Asia tourney two years ago when they made it all the way to the Final, and don't be shocked if they go far again here and qualify for the U19 World Cup. Playmaker Shuki Nakata is the only holdover from the 2016 U18 side, but he will be flanked by six guys who recently saw action in the U16 Asia Championship in China. Foremost among them will be the trio of Keisei Tominaga, Seishin Yokochi and Keijiro Mitani. Chikara Tanaka's injury will hurt Japan, since he will miss the entire tournament, but other guys like big men Shugo Asai, Satoshi Yuki, and Hiroki Matsuzaki will be expected to step up, especially when they face a taller Iranian side in group play. The U18 Akatsuki Five certainly want some payback against Iran, and if their trademark combination of quickness and shooting will be on point, then the West Asians could be in a world of hurt. Previous U18 Asia: 10th place. Size: Average height is 6'3; Tallest players are Anumar Alpamys & Nil Fomichyov (both 6'7) and Mikhail Kanak & Viktor Verzun (both 6'6). Experience: Two players with experience in the 2016 FIBA U18 Asian Championship. 2016 U18 Asia veterans Dmitriy Romanenko and Anuar Shakirov are expected to take on leadership roles here for the U18 Steppe Wolves, and if they manage to get hot, then Kazakhstan may have a chance even against Japan and Iran. Much of it is also hinged on the performance of other key players for the team like big men Anumar Alpamys and Nil Fomichyov, who will certainly have their hands full against Iran. They won't be favorites by any stretch of the imagination to top Group A, but they should finish ahead of Indonesia and make it to the Qualification to Quarter-Finals. Previous U18 Asia: 12th place. Size: Average height is 6'2; Tallest players are Kelvin Sanjaya & William Kosasih (both 6'6) and Ali Bagir Alhadar (6'5). Experience: One player with experience in the 2015 FIBA U16 Asian Championship. 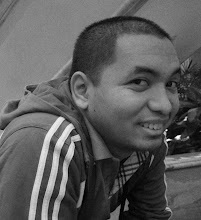 As the only guy with prior Asia-level experience, Aldy Rachman will be the barometer of Indonesia's fortunes in Nonthaburi. Truth be told, there are not high expectations for Timnas Junior Basket in this competition, but that doesn't mean they will come all the way here just to lie down and fold. Expect Rachman & Co. to put up a good fight against the more experienced and skilled teams in Group A, and they should have a decent shot at pulling the rug from under Kazakhstan to try and advance to the next round through the back door. 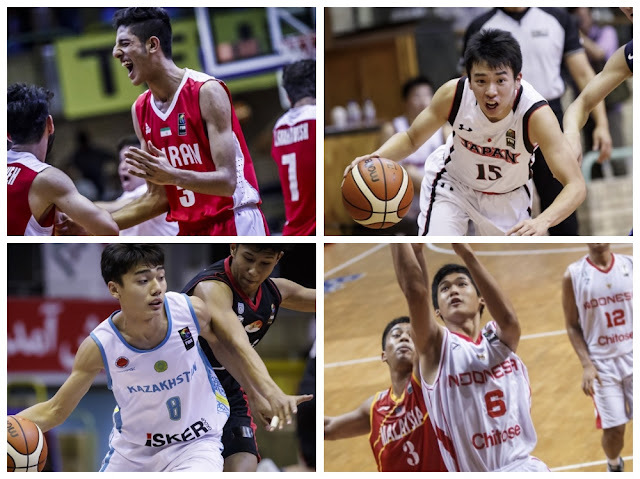 Check out all our #FIBAU18Asia Group Previews by clicking on the following! Check out the official coverage of the FIBA U18 Asia Championship from the tournament's official website HERE. FOR MORE 2018 FIBA U18 ASIA CHAMPIONSHIP COVERAGE, CHECK OUT THIS LINK!